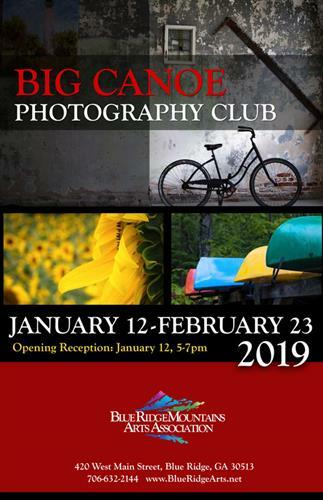 Enjoy stunning photography by the talented and diverse Big Canoe Photography Club as they display a variety of subjects from nature to digital photography in the Richard Low Evans Gallery. Over 20 photographers will be represented in this unforgettable exhibit. Opening reception is January 12, 5-7pm.